Paul Colburn will speak about eastern coyotes at Essex Library, Jan. 16. ESSEX — The Essex Library welcomes back Master Wildlife Conservationist Paul Colburn on Tuesday, Jan. 16, at 7 p.m. with his latest presentation, which focuses on the history of coyotes in Connecticut. 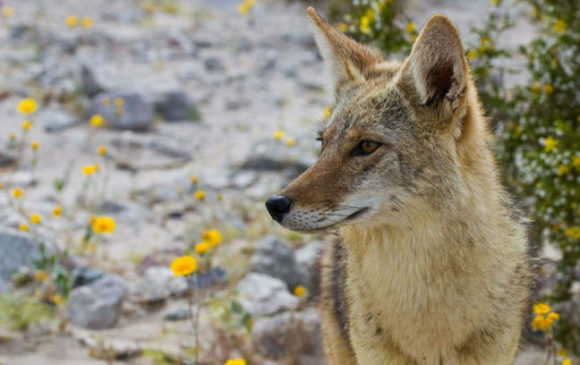 The illustrated lecture will include an overview of coyote habitat, diet, behavior, and reproduction. Colburn will also provide practical recommendations for optimum coexistence with our coyote population. Coyote artifacts will be shared with the audience. Colburn is a graduate of the Master Wildlife Conservationist Program (MWCP) and certified Master Wildlife Conservationist (MWC). MWCP is a Connecticut Department of Energy & Environmental Protection (DEEP) adult education program that trains volunteer participants in the fields of wildlife management, natural history and interpretation. The purpose of the program is to develop a volunteer corps capable of providing education, outreach, and service for state agencies, environmental organizations, libraries, schools, and the general public. In addition to his work as a MWC, Colburn volunteers for the Red Cross, and Wesleyan University Admissions. He has served on the Board of Directors of Special Wishes Inc., an organization devoted to assisting families facing life threatening childhood diseases. He is past President of Residents Advocating Conservation, has been active in local politics, youth athletics and served on many local boards and commissions. His interests include the outdoors, nature, hiking, biking, technology, politics, and travel. Colburn holds a BA from Wesleyan University and served honorably in the United States Army. This program is free and open to the public. For more information or to register, call the Essex Library at (860) 767-1560. The Essex Library is located at 33 West Avenue in Essex.